As said in our Ripple price forecast 2019 our belief is that it is fair to consider 20 USD as a realistic price target for Ripple’s XRP token. In this article we add even more evidence to the Ripple fundamental analysis to support our XRP price target. In other words, based on Ripple fundamental analysis we see growing evidence that XRP token will move to 20 USD. Our XRP (XRP) price target was also derived in our 5 Must-Read Cryptocurrency Predictions For 2019 which we published recently. What we add in this article below is more depth into our Ripple fundamental analysis, based on recent facts and figures, to support our price target. If we break down the Ripple fundamental analysis outlined below we identify two major catalysts. First and foremost, a concept that is called ‘traction’ as per ‘Lean Startup’ principles. Interestingly, this is not how most investors look at crypto investments, and that is great according to us as ‘Lean Startup’ is really the essence of future crypto valuation. No coincidence this is the heart of our proprietary method which we apply in our premium blockchain and crypto investing research, the first of its kind in the world. Second, it is the presumably massive capital inflow that is brewing from Wall Street, say institutional investors. We expect the scale of this to be much bigger than what we saw in 2017, and we also expect only a handful of cryptocurrencies to benefit from this, i.e. the ones that are close to Wall Street’s world. This is how we look at Ripple fundamental analysis. Obviously, this is a different viewpoint than what the majority of other analysts or crypto blogs apply, which is fine, but we feel strong about the accuracy of our viewpoint. If you think of it, any cryptocurrency is essentially a crypto startup. The general rule is that 90% of startups fail (miserably) because they develop products that the world does not need. So thinking of Ripple fundamental analysis is, first and foremost, understanding how Ripple performs from a startup growth perspective. This is, by far, the most important challenge that any startup faces, also every crypto startup that has a cryptocurrency. Taking this viewpoint neutralizes the largely irrelevant concepts of cryptocurrency market cap and the likes. If you’ve ever had to send money abroad, then you know the process is frustrating. It’s expensive, slow and you often don’t know when, or even if, your money arrived. The cross-border payments infrastructure is antiquated and broken. The reality is that it’s still faster to get on a plane and fly money to the destination yourself, then it is to send money to another country using today’s international financial infrastructure. Pay special attention to the underlined sentence. This is a problem that everyone recognizes, and at a minimum 50 to 70 percent of businesses across the world. The scope, breadth and depth of this problem is huge! So as Ripple works hard to solve this problem the outlook for Ripple as a company (currently still a startup) is amazing! We clearly do see signs of traction in Ripple. As said, it is the most important aspect in our Ripple fundamental analysis. Ripple has built a decentralized network of financial institutions called RippleNet that can send and settle international payments on-demand. RippleNet is now active in over 40 countries across six continents and allows those on RippleNet to provide a faster, cheaper and more transparent payments experience for their customers around the world. On the other hand Ripple has built an ecosystem of products which work together in a seemless way, making use (increasingly) of their XRP token. 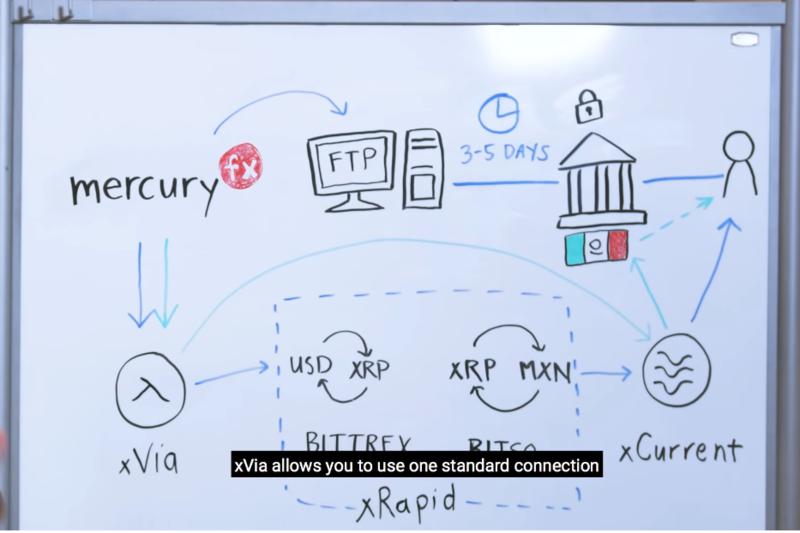 How does Ripple’s products xVia, xRapid and xCurrent work together to improve the payments experience? xVia allows you to use one standard connection to get you all the benefits of RippleNet. They would use xCurrent and they would get rid of the need for the FTP server and the 3 day wait to process the files. The magic is where xRapid is available, country X for example, they can then add on xRapid and move money on-demand using XRP in that country and pay out instantly. One of the features in Ripple’s ecosystem is ‘multi-hop’. Multi-hop gives Ripplenet members the ability of transacting with banks or payment providers or digital wallets that they don’t have a direct relationship to. That’s so important because in today’s world you need a bunch of bilateral relationships clunkily put together in a chain in order to move money. Multi-hop makes this a thing of the past. One of the things that multi-hop allows are multiple quotes to be returned to the user. And those quotes will have different paths of payments that are available. What we are seeing already in terms of the tests that we are doing are the cheapest and the fastest when they go out of xRapid. Furthermore, the second aspect of Ripple fundamental analysis is institutional investments. As per Ripple’s Q3 quarterly market report they clearly saw first signs of institutional money flowing into Ripple’s XRP token. Note that Q3 was the quarter in which this giant breakout in Ripple’s XRP took place. The big change was in the buying by Wall Street. The buying by institutions directly from the company. That numbers was up really big nearly 400% quarter-over-quarter. There seems to be little signs that Wall Street is moving closer and closer towards adopting digital assets. Again, the sentence we underlined is the one that stands out. Ripple notes, similar to our observations in recent predictions, that big institutional firms continue moving towards backing crypto trading, but have yet to launch offerings into the market. 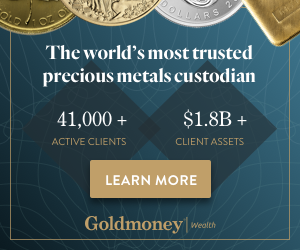 In August, Bloomberg News reported that Goldman Sachs Group was considering a plan to offer custody for crypto funds, citing “people with knowledge of the matter.” In the second quarter Nomura Holdings announced a custody consortium called Komainu, and Bank of New York Mellon, JPMorgan Chase and Northern Trust are all reportedly exploring or already working-on crypto-custody services. In other words, the phenomenal spike at the end of September was largely (at least, partially) driven by Wall Street money inflow. Now imagine what this means once (1) the crypto market conditions become bullish (2) a majority of Wall Street participates (3) Ripple can confirm its early signals of traction into new clients. The upside potential for Ripple and its XRP token is massive according to us. Indeed, it is coming, but it is not there yet. We strongly believe a handful of companies will benefit from the (massive) inflow of institutional money. Ripple’s XRP will be the biggest beneficiary as explained in our article on Medium: Why Bitcoin futures will fuel Ripple’s XRP price. The long term chart of XRP is breath taking, readers can check it out in our Ripple XRP forecast (see the hyperlink in the intro of this article). The shorter term, daily price chart of Ripple’s XRP, is shown below. It clearly shows the ongoing consolidation after the giant breakout of September 20th, followed by 2 retracements which coincided with the 2 sell-offs in the Nasdaq. However, strength is shown with the 3rd Nasdaq sell-off. There is no meaningful decline in Ripple’s price whatsoever during the 3rd Nasdaq sell-off. What does this mean? That all sellers below the mega support area (light blue bar) have sold their Ripples. There is hardly any sellers left below $0.42. That is the perfect setup for a new bull market! This article was written 2 months ago. In the meantime lots of things happened, particularly in the crypto market with the whole cryptocurrency space falling through its support. Bitcoin, for instance, broke below $6k two weeks after the original article above was written. However, Ripple’s XRP price resisted selling pressure. Yes, XRP fell lower, but it made a higher low against last summer. Needless to say, this is fundamentally long term very bullish! Below is an up-to-date chart of Ripple’s XRP price. As 2019 kicks off XRP has fallen through its long term rising channel. There are a couple of developments on this chart which cause us to maintain our very bullish opinion. First, it has held up strongly as few in the crypto space have, and it has set a higher low at the end of last year. Second, it is trading above the highs of 2017, above a horizontal band which is a characteristic of XRP (similar to 2015 and 2016).